N.L. Lumiere: IS HOLLYWOOD ANIMATION A BOY’S CLUB? Very interesting post. It's probably true that more boys didn't go see The Princess and the Frog because it had the word "princess" in the title. But other animated films with female protagonists have been very successful (Beauty and the Beast), so I think that argument doesn't hold water. Personally, I don't have a problem with calling a film Tangled instead of Rapunzel, that's a common technique in novels when you re-imagine a classic tale. And if it encourages more boys to see a movie about a strong girl protagonist, isn't that a good thing? (Assuming that the film is well-written and refrains from stereotypes.) Of course, adding monsters or violence to a story just to appeal to boys, that's another matter. Regarding the lack of female directors in animation, I think that has more to do with internal politics than an attempt for movie producers to make boy-oriented films. I think the live-action film industry isn't much different, and maybe that's where the attitude comes from. "The Little Mermaid" also did well. It's not the renaming of films that's a problem, rather its the targeting of a stereotyped gender instead of an age group. The lack of female directors has to do with internal politics in as much as sexism is part of animation studio politics. You're right about live-action Hollywood features targeting boys and they don't have many female directors there either. I completely agree with your observations about sexism in creative positions in the animation industry. But I'm curious what you mean by "So Glen Keane was replaced as director, the beautiful but now “too girly” software Glen helped invent for the film was quickly sold off and hey presto––the profits of TANGLED did not exceed those of The PRINCESS AND THE FROG by much." Glen isn't a software developer, he's an animator, and software is neither 'girly' or 'boyish.' Glen remained the animation supervisor as well as the directing animator on Rapunzel herself, and the tools that were developed for the film to get the look that Glen wanted were indeed used in the final film. 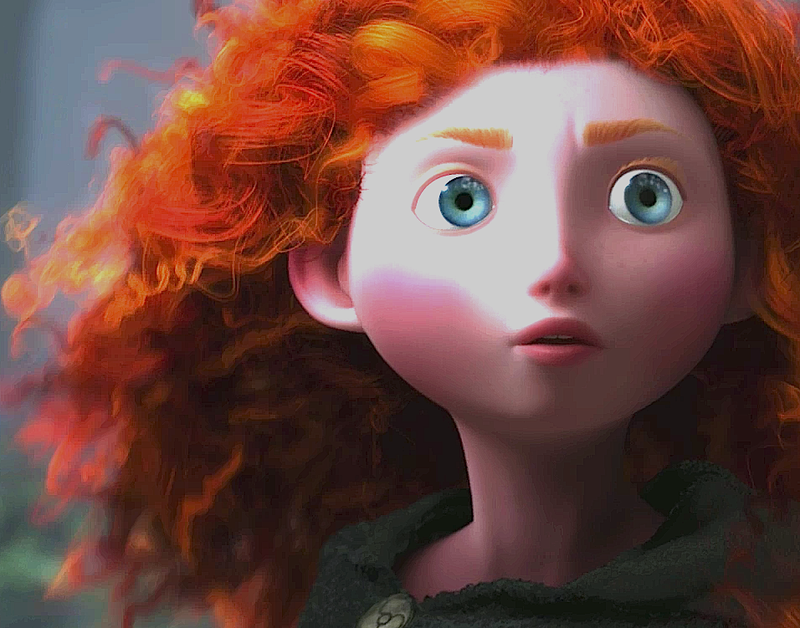 This included tools that allowed Glen to literally draw over the poses of the CG-animated scenes done by Glen's animators, and software to make her hair long and luxurious and a virtual character itself. If you compare the animation in Tangled to that in Aladdin and Little Mermaid, you will see that it's very much Glen's signature appealing animation style. Rapunzel might be more spunky and tomboyish than feminine at times, but that's Glen's style. As for the profitability of the films, we'll never know what Disney actually spent on either Princess and the Frog or Tangled, but we do know that the worldwide gross for the former was $267 million, and for the latter was $590.7 million (by far the most successful Disney animated film in many years). The DVD sales and the merchandise sales were likewise dramatically higher for the CG film. The good thing about the success of Tangled is that it gave Disney execs the courage to go ahead and develop fairy tale stories and female lead films again. Only time will tell what comes of that. First, thank you for acknowledging that sexism exists in animation. Too many people deny it. Yes, Glen is the animator who, with Kyle Strawitz, helped develop the painterly software based on the work of French artist Fragonard for RAPUNZEL. This software was considered quite a big deal of softness at the time and was, as you say, used in the film but no mention of it was made in the publicity and I think it was this software that was sold off after the film's release. Given that it imitated a soft painter style, I think it's not wrong to call this software "girly" in this context. I've mentioned this elsewhere on this blog, so I didn't want to repeat all the details on this post. Glen was also the director of RAPUNZEL for the first seven years of its development, until Disney made radical changes to the script designed to appeal to boys. Glen was then replaced as director by Nathan Greno and Byron Howard. As for the profits, the TANGLED box-office take was far greater than THE PRINCESS AND THE FROG's, but the actual profits were not that much bigger because of TANGLED's greater production costs. Even though Disney has renounced fairy tales in the past, the success of the boyish TANGLED will no doubt encourage them in their pursuit of the 12-year-old boy demographic.